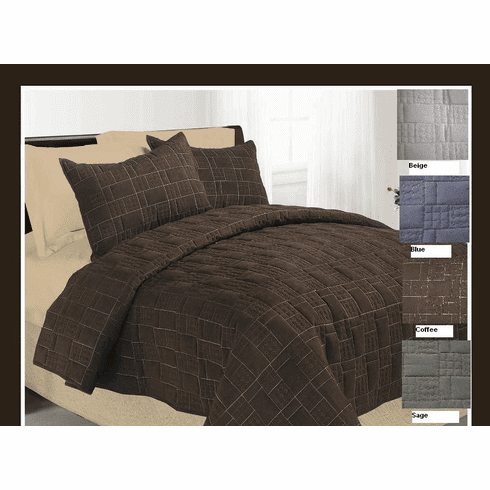 This is luxurious micro suede bedspread, fully quilted coverlet with pillow shams. This is idea gift for new home and birthday. Great fabric quality and professional package. Material: High Quality Micro Suede fabric facing, 90/10 T/C backing. Queen Size: One Queen size 90x90" Quilted bedspread, Two standard pillow shams 20x26"
King Size: One King 102x90" Quilted bedspread, Two king pillow shams 20x36"